Duluth is a special place for my family. We have seen it in many seasons, but no one would have believed we would hit 65 and sunny in early November for Molly & Carson. All the fun actually started with these two last year when I was asked to fly to Bozeman for a ridiculous engagement session that went from brewery, to food trucks, and ended with Carson catching a rainbow trout with Molly. Check it out here! I knew that would be hard to beat, but when you put that many awesome people together in one enchanted space such as the Greysolon Ballroom, more magic was in store! 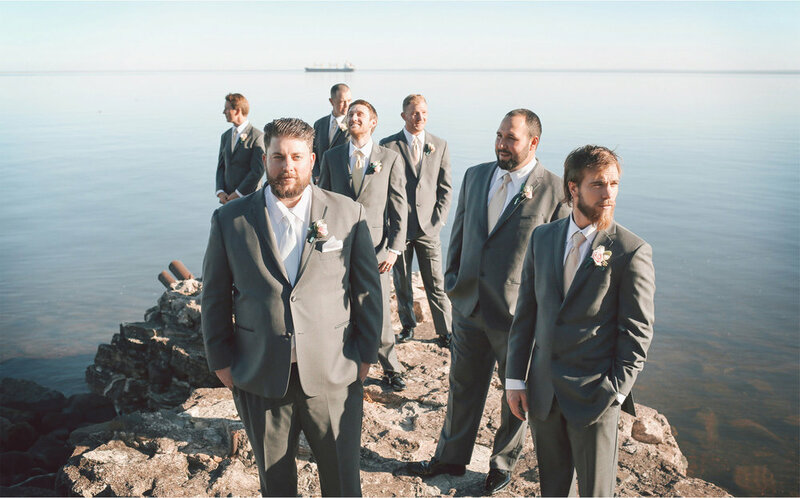 With their friends, we explored the city, Pier B, and the lift bridge along the shore before heading in for the party of their life, thanks to the help of Janelle Vick, of White Confetti. Even Blackwater seem too good to be true as following the ceremony all their favorite people were poured classic throwback drinks to toast to a long life of adventure.